Delicate touches make a monitor truly great, the Asus VS278Q LED monitor, with extremely quick 1 ms response time, 80000000:1 high contrast ratio, DisplayPort and dual HDMI interfaces, is optimized for the finest image and color quality. This approach extends to the sturdy stand and slim profile without compromising style in ensuring stability and durability. 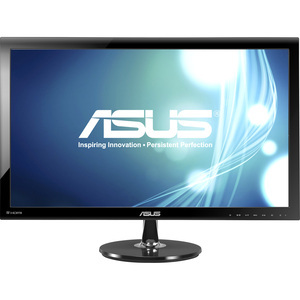 Product Description: ASUS VS278Q-P, LED monitor, 27"
Device Type: LED-backlit LCD monitor, 27"